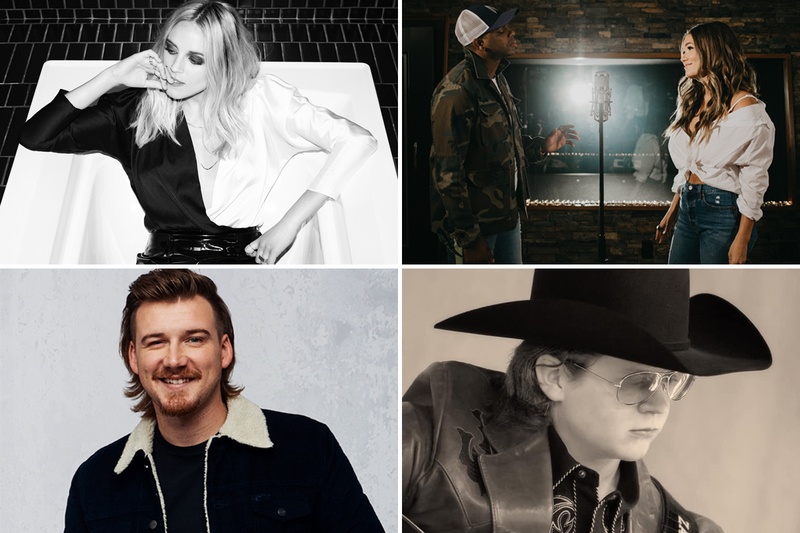 Today’s listening session belongs to country’s up-and-comers. Despite the presence of proven hit makers Thomas Rhett, Jennifer Nettles, The Randy Rogers Band and pop stars A.J. McLean and Danny Woods, the winning sounds in today’s DisClaimer column belong to artists with less marquee power. In fact, I loved the baby acts so much that I’m dishing out three Disc of the Day prizes. The Female winner is Logan Brill. The Male winner is Morgan Wallen. The Group honoree is the duet by Jimmie Allen & Abby Anderson. Play them all. The DisCovery Award winner is a revelation. I can’t remember the last time I was so blown away by a young talent as I am by Zac Clifton. If you love real country music, by all means lend him your ears. – This Backstreet Boy tosses his hat into the country winner’s circle with this lilting come-on. He’s going to be her best lover because he’s gonna show her the difference between a boy and a man. A mid-tempo charmer with a lovely, wafting production. – New Kids on Block vet Danny teams up with new country soprano Jessie on this would-be power ballad. The anti-bullying song falls flat, and they lack chemistry as a vocal team. – This ballad won the Oscar as Best Movie Song and is a proven pop favorite. Jimmie and Abby’s acoustic version shimmers with the tension and finesse that only two vocalists of outstanding ability can deliver. These country kids sing their hearts out here. An undeniable winner. – I dig this. She sounds wise and bruised. Booze can lead you to regret and recrimination. The chiming production gives oomph to every line of her tale of feeling dirty after spending a night of weakness with an old flame. – It begins with an ear-catching hesitation in her delivery and a deliberate, halting quality in the production. The tempo and the sonic complexity increase as she gets to the hook. The contrast between her rippling banjo notes and her sultry singing is oddly pleasing. Although I think this is a terrifically creative record, it’s probably a mite too meditative, atmospheric and hook-challenged to succeed on country radio. – I think this guy is a superstar in the making. I have loved everything he has issued, including this airy, open-road ode to a romance that has its taillights fading off in the distance. Great vocal, great song. – This thumpy toe tapper has a light-hearted innocence that’s infectious. Highly listenable. – I’d have mixed the lead vocal a little hotter. But the band remains a total groove governor. And you have to give props to an outfit that has retained the same membership for 20 years. This is an endearing and enduring country treasure. – Sung from the point of view of a woman who has endured much, but who perseveres through it all with joy, gratitude and wisdom. Sung with force and believability, this ballad has the power to become an anthem. – This 17-year-old Texan is a breath of fresh air. He’s a hard-country, honky-tonk throwback with a penetrating vocal delivery and a delightful, fiddle-and-steel production. The title tune of his album salutes Lefty, Paycheck, Merle, Patsy, Waylon, Hank, Johnny & June, Mel, Jones, Tammy, Kitty and your other gone-away country favorites in a place where “heroes spread their wings and fly.” Yee-Haw! from this corner. Not only does he sing like a bird, he wrote every song on the collection.